A preliminary report for the 2010-2011 archaeological seasons has been published by the Israel Antiquities Authority in Hadashot Arkheologiyot: Excavations and Surveys in Israel. The report is written by Yossi Garfinkel, Sa‘ar Ganor and Michael Hasel. My photo shows the Iron Age, four-chamber, gate with a view toward Tel Azekah. Iron Age Gate with a view toward Azekah. Photo by Ferrell Jenkins. May, 2011. The current issue of Biblical Archaeology Review (May/June 2012) carries two article relating to the Qeiyafa ostracon. One is by Christopher A. Rollston who asks the question, “What’s the Oldest Hebrew Inscripton?” He responds that each of four inscriptions he considers (Qeiyafa, Gezer calendar, Tel Zayit, and Izbet Shartah) predate Old Hebrew. If Puech is correct, the Qeiyafa Ostracon is the only archaeological artifact referring to Israel’s first king. And it is the earliest non-Biblical confirmation of the establishment of the Israelite monarchy. Leval’s article is available online at BAR here. This information is sure to create a lot of discussion. HT: Joseph I. Lauer; Bible Places Blog. 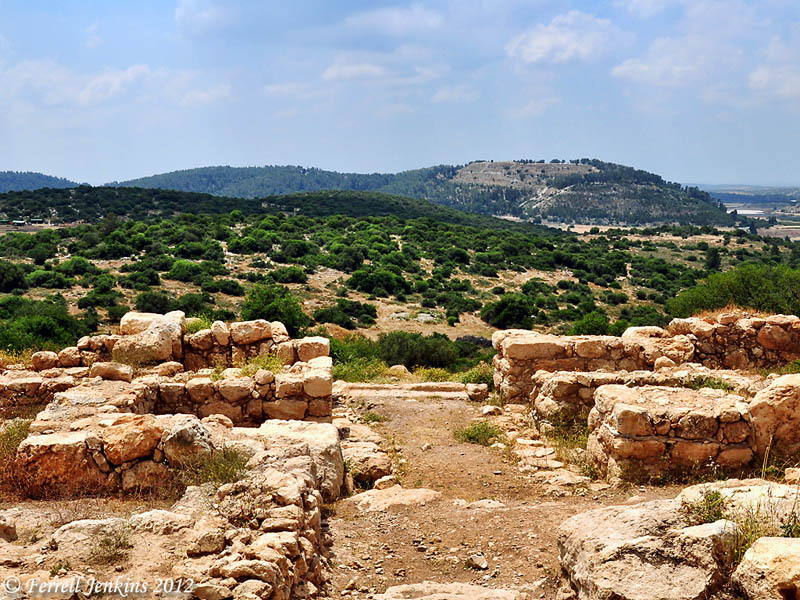 This entry was posted in Archaeology, Bible Places, Bible Study, Culture, Israel, Old Testament, Photography, Travel. Bookmark the permalink.